Many great homes can be found along Mulholland Drive in Los Angeles / Hollywood Hills, and on the east and west ends of the drive where it is also known as Mulholland Highway. Mulholland Drive winds along the Santa Monica mountains and runs above the San Fernando Valley through Studio City and the Hollywood Hills, Beverly Hills, Sherman Oaks, Bel Air, Encino, Woodland Hills and Calabasas, and winds to the coast through Agoura and Malibu. Many homes on Mulholland Drive come with fantastic views of the Valley or LA, as well as canyon views depending on the location. Real Estate along Mulholland Drive and Mulholland Highway is considered prime, and homes and even some vacant lots sell well into the millions. 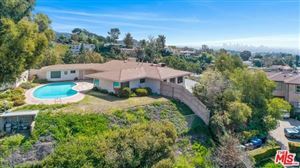 Listed below is a current list of homes available for sale on Mulholland Drive and Mulholland Highway. If you would like more information on any of these properties, please give me a call at (310) 717-2232 or you can leave your contact information on my contact form and i’ll get back to you within 24 hours. Note: This list is updated daily, so bookmark for new properties! Also check out these Beverly Hills gated communities off Mulholland Drive! See all Mulholland Estates Homes For Sale. 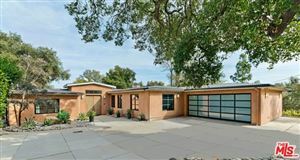 See all Beverly Park Homes. 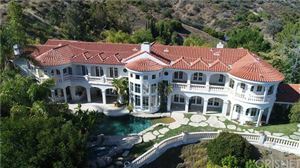 See all Summit Beverly Hills Homes.